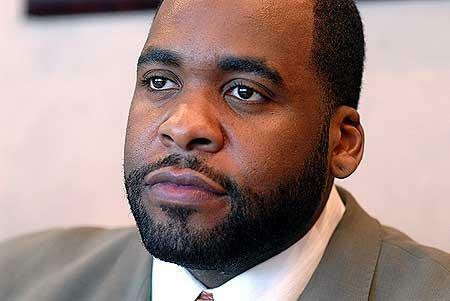 *Former Detroit Mayor Kwame Kilpatrick took the stand yesterday regarding the murder of stripper Tamara Greene. In court, he continued to support his years long stance that his administration never dealt with the murder. 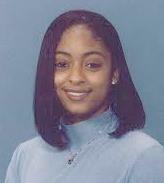 “Unequivocally, we never discussed Tamara Greene,” Kilpatrick said. “You did a good job stretching it out this long,” Kilpatrick told the family’s lawyer, Norman Yatooma. The lawsuit stems from the family filing against him court in 2005, claiming the former mayor and the city obstructed an investigation into the woman’s unsolved death. Greene allegedly performed at a rumored party that Kilpatrick attended in the fall of 2002 and was killed in April 2003. The hearing will continue on Wednesday. IDIOT!!!! of course he is going to deny anything that was discussed. Unfortunately I don’t think they’ll ever get to the bottom of who killed this young lady. And although I’m not a Kwame fan, deep down I don’t think he directly had anything to do with her murder. I do feel he and his adminstration obstructed the proper investigation of the case though.